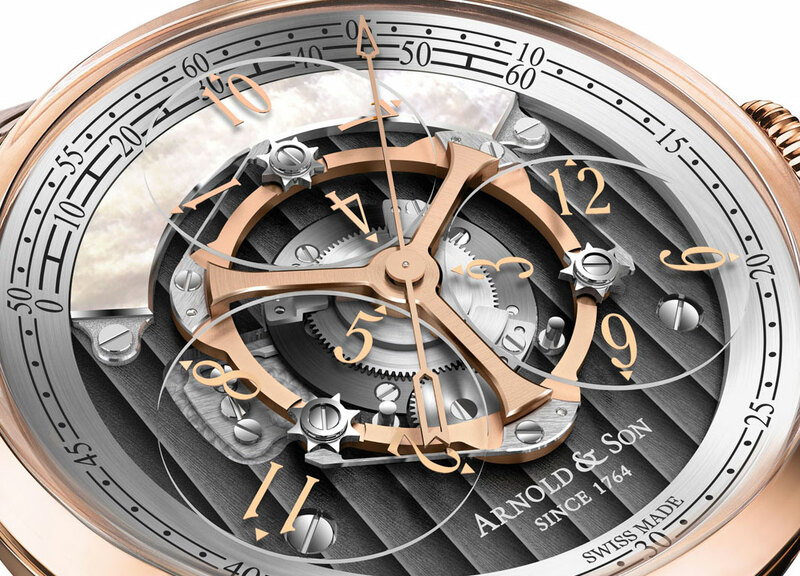 The Arnold & Son Golden Wheel is an intriguing combination of complications, a wandering hours time display using three sapphire discs, and a central deadbeat seconds hand. Arnold & Son is adept at integrating a deadbeat seconds into all manner of complications, most recently into a chronograph with twin seconds hands. Baselworld 2015 will bring arguably the most unusual dead seconds timepiece yet, the Golden Wheel. The Golden Wheel displays the time via three sapphire discs, each rotating on its own axis, as well as around the dial. Known as a wandering hours, this form of time display is not new, having been found on pocket watches dating from the eighteenth century. In modern watchmaking the Audemars Piguet Star Wheel and Urwerk UR-105 are probably the best known implementations of the mechanism. 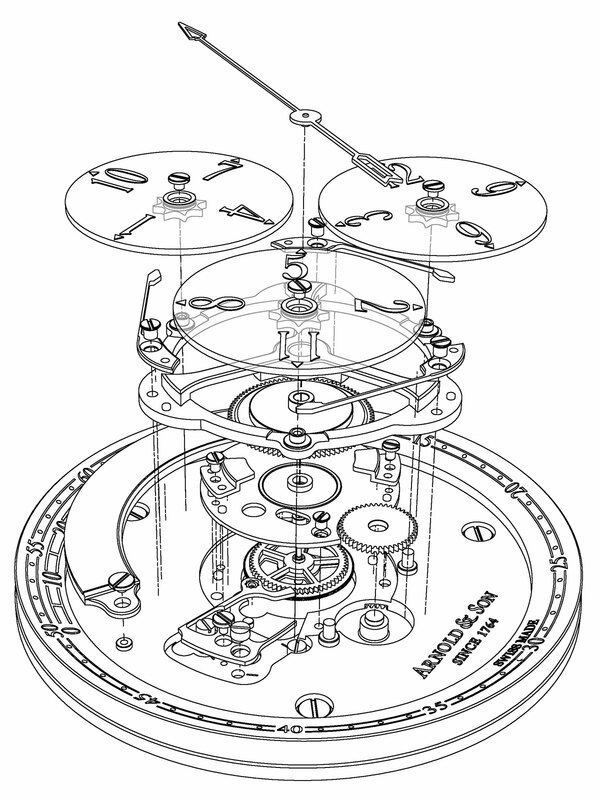 What makes the Golden Wheel unique is the central deadbeat seconds, which means the seconds hand ticks in one second increments, rather than sweeping along smoothly as in most mechanical watches. Time on the dial is read on the semi-circular plate on the top half, made of mother of pearl with a minute track from 0 to 60. The sapphire discs for the hours are mounted on carrousel made of 18-ct red gold, hence the Golden Wheel moniker. 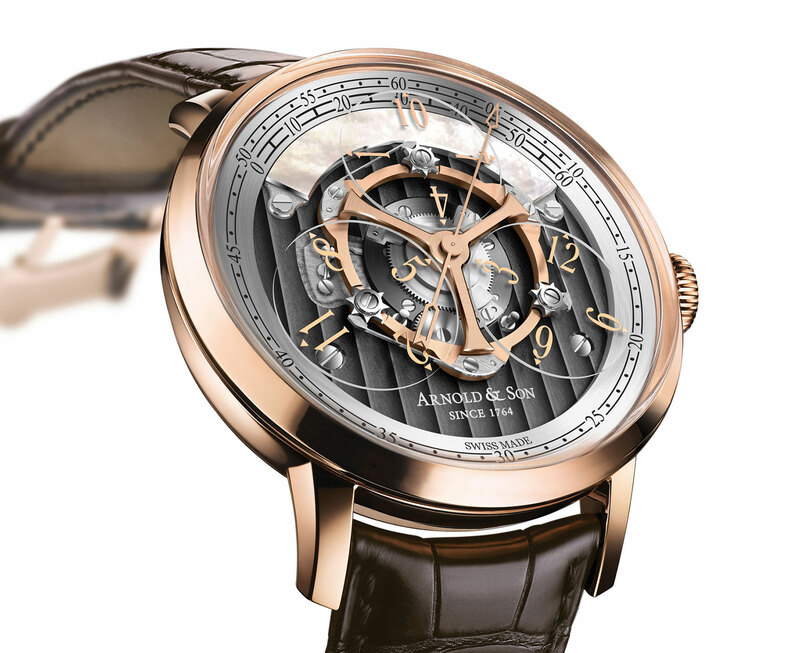 The case is also in red gold, with a diameter of 44 mm. This is limited to 125 pieces, with a price of 43,300 Swiss francs before taxes, equivalent to US$42,500 at current exchange rates.